On the night of 9 February 2012, we received this e-mail. I want to inform you that my father, Mr. LS from Indonesia, had died on Thursday, 16 February 2012. I want to thank you for all your treatment to my father during his sickness. Until his last days, he still took your herbs and did the e-therapy. I believe that your herbs and the therapy do bring goodness to him. He died without suffering (no pain and no difficulty in breathing, and he died in his sleep). I believe that he is already happier right now, free from his sickness and rest in a peaceful place. Thank you for remembering my father among your patients. We, as a family, are happy to know you also. You gave a medication, with a personal touch, that we hardly find anywhere else. We learn a lot from you about healthy life style. LS was a 71-yer-old man from Indonesia. In 2007, a chest X-ray showed a spot in his left lung. He did not do anything about it. In November 2010, LS did another chest X-ray and the spot was still there. He came to Melaka and did a CT scan on 15 November 2010. There was a speculated soft tissue lesion in the apex of the upper lobe of his left lung. It was 4.0 x 3.3 cm in size and was consistent with a lung carcinoma. A CT guided FNA biopsy was performed and confirmed that it was cancerous. LS was asked to undergo chemotherapy and radiotherapy. He refused. LS went to Singapore for a second opinion in February 2011. Another CT scan was done. The tumour had grown bigger to 40 x 35 x 45 mm. He refused further medical intervention and came to seek our help on 13 March 2011. LS was subsequently prescribed herbs – Capsule A, Lung 1 and Lung 2 Teas. In view of the cysts in both of his kidneys, LS was also prescribed Kidney Tea. After his first visit, we got to see LS again in May and July of 2011. When he came he did not have any pains. The only thing outstanding thing about him was that he was addicted to coffee. So we asked him to drink black coffee (without sugar!). His daughter updated us about his condition via e-mails, example as below. Thank you very much for your kind reply. I appreciate very much for your suggestion about foods that will help my father. The doctor here is so amazed about my father’s condition, how he still can walk by himself (without wheelchair) and do the daily activities by himself (eat, shower, exercise, etc). They said in my father’s case, the patient cannot survive within a year. My father was first diagnosed in November last year (2010). We still believe that taking the herbs and the food controlling brings benefit to him, beside God’s care of course. Here I give you a photo of my father (I captured it last week). 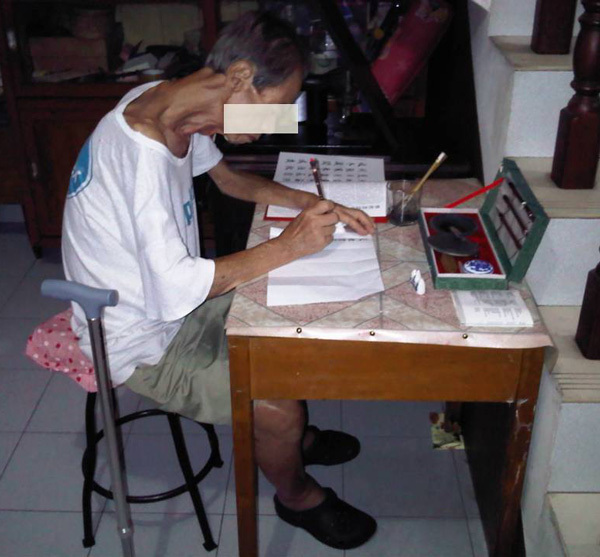 He was writing Chinese calligraphy. My sister asked him to do it so he has something to do at home and he does not think about his disease. He has more spirit right now, even his both legs are swelling (because the albumin level is low). Thank you once again for your care aunty. Please send our regards to Dr. Chris. So sorry we still cannot go to Penang, because my father still cannot travel far. Please support us in prayer aunty. Warm wishes ~ K and family. 1. Did LS take the wrong path for his healing? Or do you know of a better path? LS died and he did not want to undergo the standard medical treatment. 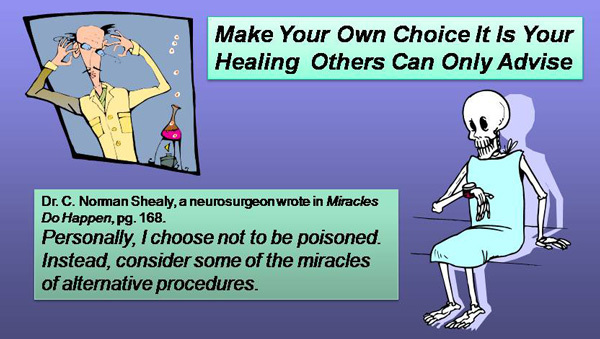 Perhaps some critics would say that he should have followed what his doctor recommended – go for chemotherapy and radiotherapy. I would have loved to ask LS what he would have done if he were to live his life again! As I am writing this story, I remember another case of lung cancer. This man – THK – is 57 years old and he was diagnosed with lung on 22 March 2011. 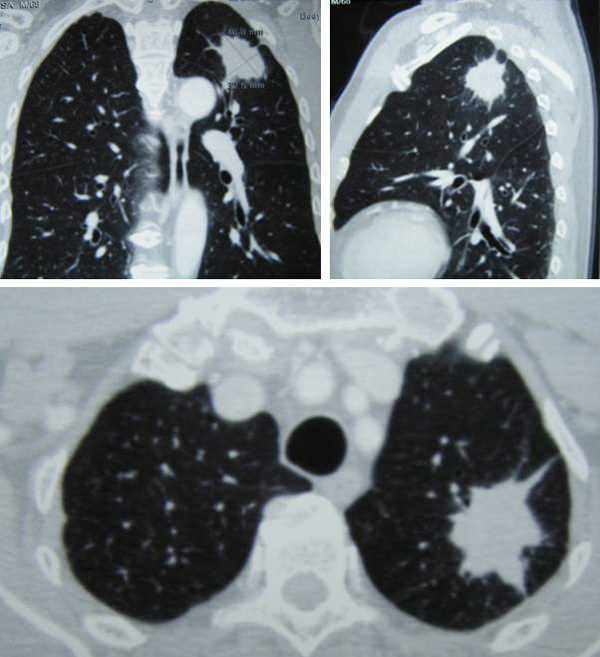 The tumour was 20 x 24 x 22 mn in the upper lobe of his right lung (Note; LS had 40 x 35 x 45 mm) THK underwent 6 cycles of chemotherapy with Gemzar + Cisplatin (total cost about RM 50,000). The treatment did not cure him. In fact the cancer became more aggressive. He was switched to oral chemo – Tarceva for three months. The PET scan showed further deterioration. He was asked to undergo 6 cycles of chemotherapy with the latest or newest drug, Alimta at RM 9,000 per cycle. THK received 2 cycle of Alimta and gave up. The tumour makers kept rising in spite of the treatment. On 4 January 2012, his CEA was at 666.5 and CA 19.9 was 4,422.0. In short, the treatment failed miserably. THK concluded he was on the wrong path and came to seek our help on 3 February 2012. 2. Can chemotherapy and radiotherapy cure your lung cancer? 3. They say do nothing is better than spending a lot of money to do something and get no meaningful result!